Maryland’s highly rated educational system didn’t happen by accident. Behind the scenes, teams of professionals like the Maryland State Child Care Association (MSCCA) members are making sure our children are ready for Kindergarten. They do this by providing the best early care and education programs, teachers and opportunities available. The MSCCA is a local community nonprofit dedicated to ensuring our Maryland licensed child care and early learning centers have the support they need to maintain the highest standards. Jennifer Nizer, founder and long-time President of Maryland State Child Care Association, has spent the better part of two decades being an advocate for child care programs, teachers, children and families. With the launch of the Jennifer Nizer Passion for Excellence grant, MSCCA hopes to inspire other educators to continue Jennifer’s legacy of energetic and creative leadership and advocacy, on behalf of young children throughout Maryland. We encourage our members to strive for excellence, but some of our best programs, teachers and caregivers lack the resources to attain their goals. 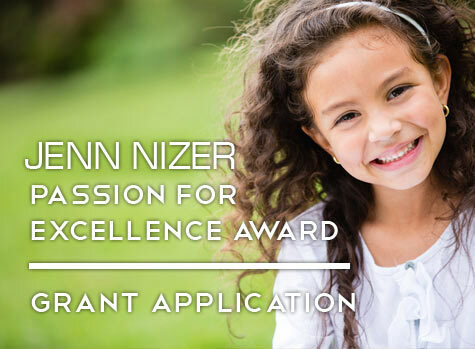 That is why MSCCA is proud to announce the Jennifer Nizer “Passion for Excellence Award”, a grants program to assist dedicated, passionate child care professionals with expenses for a variety of needs, including but not limited to: certifications, accreditation and higher education requirements. Applying for grant? Click Here Now. We are fortunate to live in a community with a diverse group of generous community and business partners, like you, make our mission possible. MSCCA would like to build this educational/resource fund and we are asking our business partners to step up. Donate by mail using this donation letter or donate securely online here. Winners of Last Year’s Jennifer Nizer Award! Play and Learn at Scribbles, Baltimore MD.